Western Australia is the largest Australian State. With an area of more than 2 500 000 sq km, a 12 500 km coastline and spanning 2 400km from north to south, it occupies a third of the continent. Western Australia, is Australia’s face on the Indian Ocean. Its capital Perth is closer to Singapore and Jakarta than it is to Canberra. The majority of people live in and around Perth. Only the narrow Timor Sea separates its northern coastline from equatorial islands of the Indonesian Archipelago and to the south is the Southern Ocean and Antarctica. From its tropical north, to temperate areas in its south-west corner, Western Australia experiences a variety of climatic conditions. With distance from the coast, rainfall decreases and temperature variations are more pronounced. Perth averages eight hours sunshine per day and 118 clear days per year. Mean monthly maximum temperatures range from 17ºC in July to 30ºC in February. Even in the coldest months, minimum temperatures rarely fall below 5ºC. Most of its 802mm annual rainfall occurs in the winter months. Agriculture is Western Australia’s second major export industry. The State’s vast area provides soils and climates suited to a variety of agricultural production from open range grazing and broad acre cereal cropping to irrigated pastures and horticulture, orchards and vineyards. Wheat, wool, beef and lamb are its main products. Tropical and temperate horticultural products and stockfeed are also important. Farmers and investors are identifying new specialised markets in Asia and taking advantage of seasonal differences with the northern hemisphere. A diverse and efficient agriculture sector provides the raw material for a rapidly growing range of processed exports. These include wine, ice cream, barley malt, noodles and fine leather. Western Australia’s fisheries are major world suppliers of lobsters, prawns and pearls. A steadily growing aquaculture industry is successfully providing high value products to specialist markets. A well-managed forestry industry produces hardwood and softwood timbers and woodchips from natural forests and plantations. Sufficient sustainable resources have been identified to support a paper pulp mill. The State also produces 70 per cent of Australia’s gold and significant exports of salt, nickel, tantalum and numerous other metals. New projects established in recent years include a silicon smelter, titanium dioxide plants and a fused alumina plant. The State is poised to supply an important share of the world market for new materials such as rare earth chemicals, fused alumina, zirconium compounds and specialty alloys. Processed mineral and agricultural products are the State’s major manufacturing exports. Local firms have also achieved success with more elaborately transformed products. Recent major investments have established facilities producing chemicals, mining and electronic equipment and pharmaceuticals. Western Australia’s shipbuilding industry has built more than 60 per cent of the nation’s civil craft. It has also supplied 10 per cent of the world’s lightweight passenger ferries. Local firms have adopted new designs, materials and technology to capture an important share of a growing market. Research and development activities by local and international companies have produced internationally competitive innovations in engine technology, building products, reagents for bio-technology and electronics. Sealed highways link regional centres to Perth and two national highways, one in the north and one in the south, provide for interstate traffic. A major east-west rail line carries freight and passengers between Western Australia and other Australian States. An extensive public rail network services agriculture and industry in the State’s south-west. In the north-west, private rail lines carry ore from inland mines to coastal ports. Perth’s international airport handles flights servicing Africa, Asia, Europe and North America. Numerous daily air services carry passengers and freight between Perth, the State’s regional centres and other state capitals, especially Sydney and Melbourne. International shipping can be accessed at Fremantle, the State’s main port and eight regional ports linked to major agricultural and mineral producing areas. Five universities, a state-wide technical and further education system, private vocational colleges and dual public and private school systems cater for more than 500 000 students each year. There are 9 500 students from overseas. In addition to formal courses, post-secondary and tertiary institutions provide management and workforce training tailored to meet the needs of individual employers or industry organisations. Universities regularly participate in collaborative research activities with private sector and government bodies, sharing staff, equipment and information. 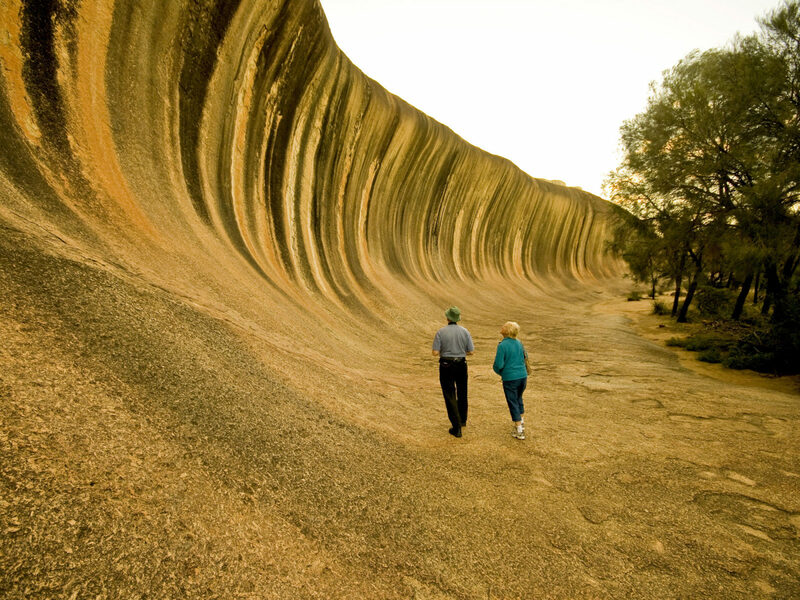 A range of experiences, from wilderness adventures in the arid outback or diving on coral reefs, to fine dining in world-class restaurants or a night at a casino, attract a wide variety of visitors to Western Australia. Many of these visitors come from Asia, the balance from Australia. The numbers of international and interstate visitors, as tourists, students, conference delegates or business people, are projected to increase significantly over the next 5-10 years. A sound domestic tourism market underpins this growth. As much of this growth reflects the State’s strengthening links with Asia, there is considerable room for specialised new services and facilities such as resorts, golf courses, hotels and conference facilities. The State encourages investment in the tourism sector.